Shenzhen Grande Electronic is fully capable of providing prototype and small quantity, through-hole PCB assembly services at the highest quality level possible in a cost effective manner. We use automated through-hole placement techniques for radial and axial components, preferably for small-volume production. The layout of the auto-placement area is intended to reduce material handling and labor. The manual placement technique is used by our engineers to deal with compound through-hole assembly challenges. Wave-soldering is used for both Surface mount and Through-hole components, but we prefer to use it for simple through-hole components. In mixed technology boards, the first board is wave-soldered and then it is reflowed. Through-hole mounting of components provides strong mechanical bonds when compared to the surface-mount technique, and gives extra space for the designer to route the tracks. However, surface mount components can allow for denser circuit configurations and utilize both sides of the board. Through-hole mounting is necessary for larger and heavier components as they require stronger bonds for a robust connection. Our dedicated team procures our components through authorized North American distributors to ensure authentic high-quality parts. Easy availability of all requisite components enables us to provide fast manual, automated and combination through-hole assembly. 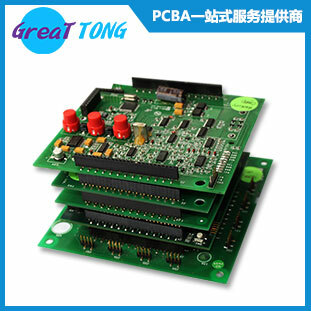 Our diligent staff ensures there is no compromise on quality since they are trained to follow all the inspection steps for low volume and prototype through-hole PCB assembly. We have a quality assurance team to monitor, inspect the processes and support continual process improvement. We currently employ numerous advanced test equipment including, AOI Testing, Visual inspection, In-Circuit test, and optional functional tests to produce high-quality and cost-effective assembly. Does GPS work after your phone's battery is dead? PCB Assembly: How does PCB X-Ray Inspection Work? Next：Where to Have Your PCB Designs Built and Manufactured?